Valentine's day is coming up and you may be thinking about your plans. Are you going to go out to eat, have a night out on the town or make a special dinner at home? 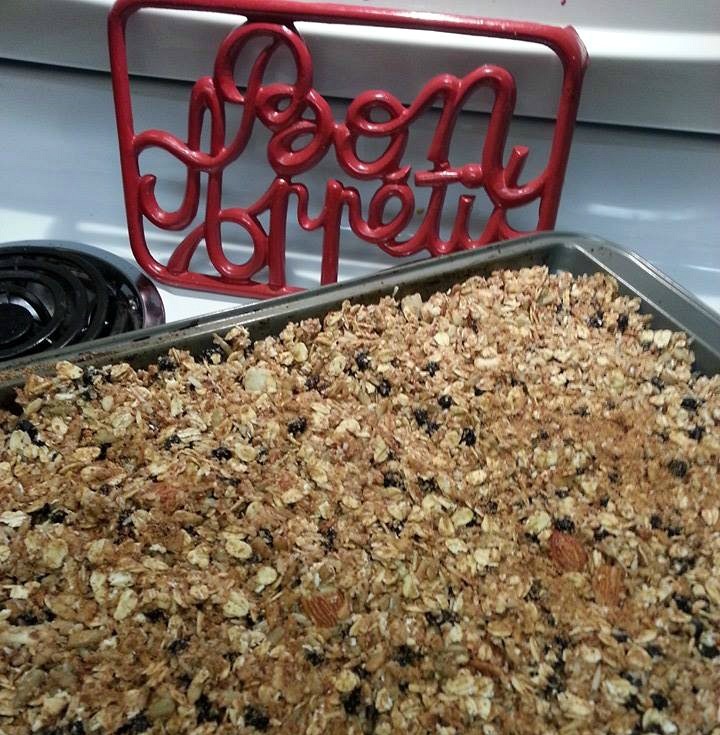 Today I'm going to be sharing with you an absolutely delicious yet healthy desert. I love treating myself time to time, but also still keeping it clean with wholesome foods. 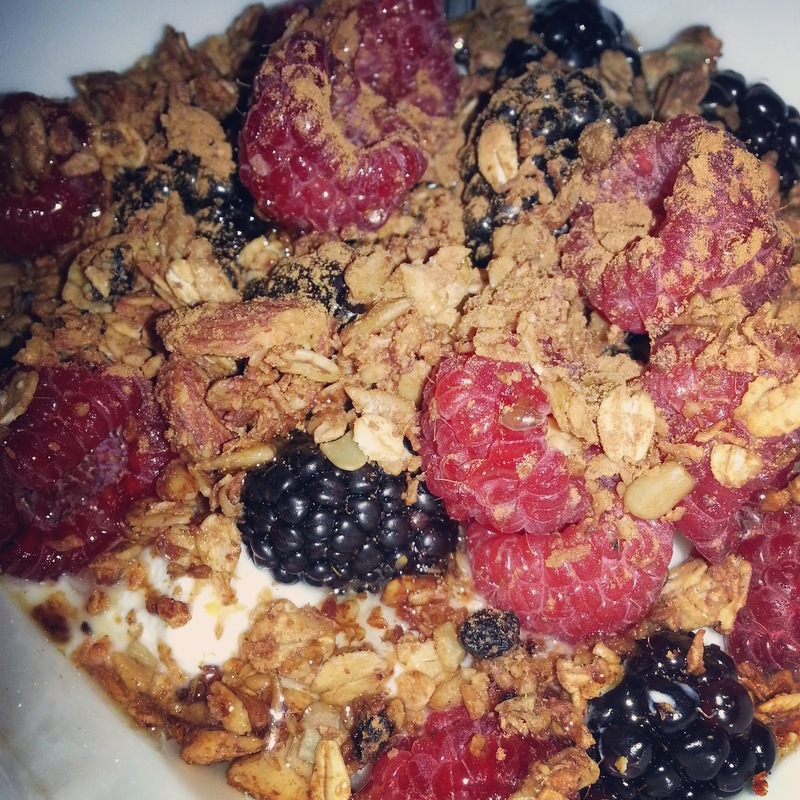 I made this simple desert by using Stonyfield plain organic yogurt, topped with blackberries and raspberries. Since it's expensive to buy organic fruit off season, I wash my fruit that is prone to higher pesticide reside in a mixture of water, baking soda and vinegar. 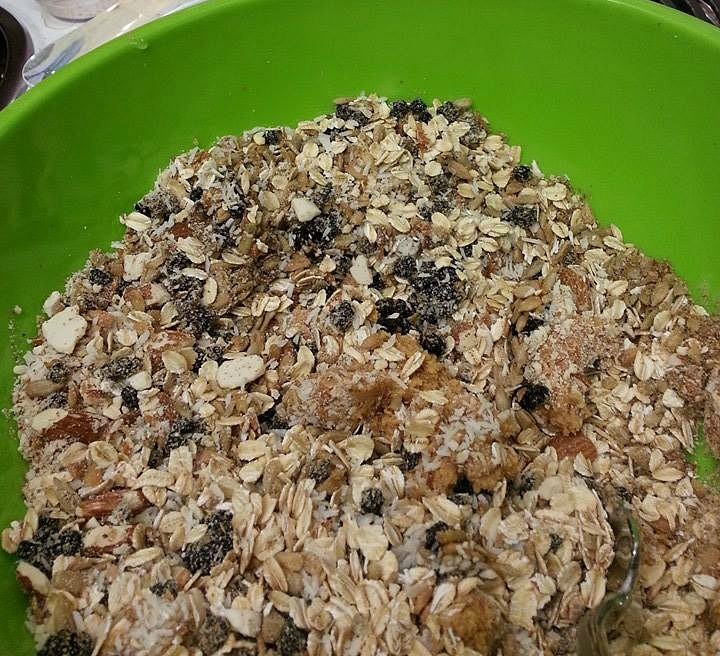 I then added some homemade granola (oats, flax seed, honey, cinnamon, dried blueberries, almonds, natural peanut butter, unsweetened coconut, sunflower seeds). I used a recipe I found from Fitnessquinci's Instagram but varied it slightly. It's super easy to make, you basically just mix all the ingredients and bake! 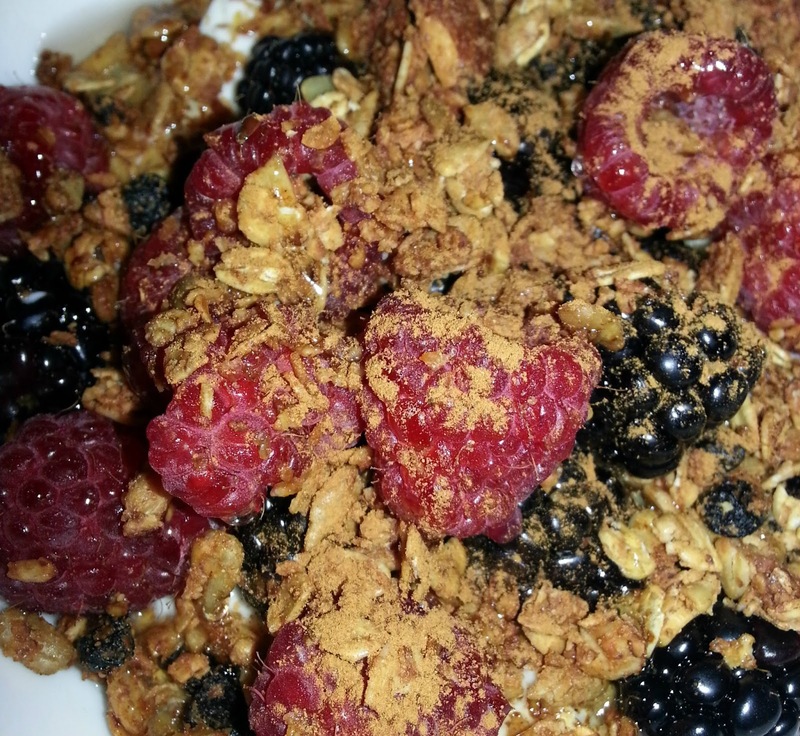 I find store bought granola contains a lot of extra unneeded sugar and usually has some sort of oil, usually soy which has likely been genetically modified. This way, you control exactly what goes into your food.